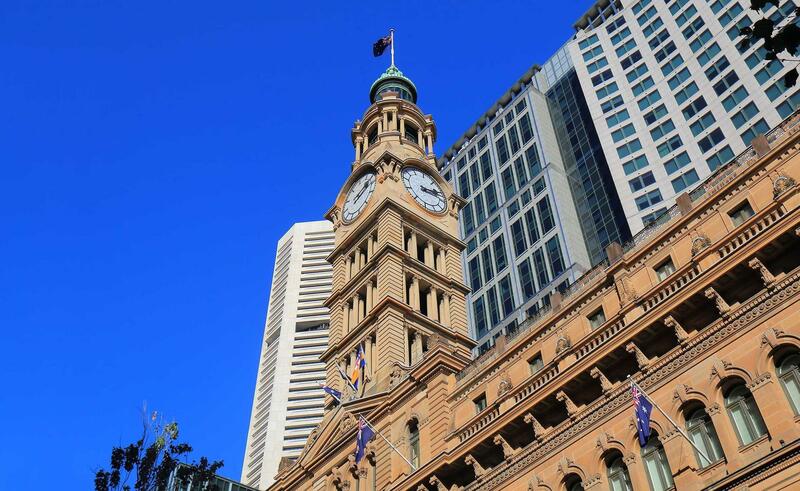 Choose between two distinct accommodation options: the charming, Heritage rooms which are located in the historic General Post Office building, and the contemporary designed accommodation in the high-rise Tower wing. All of our rooms and suites are bestowed with the luxurious amenities you would expect from a 5-star hotel, including plush bedding, oversized bathrooms and high-speed Wi-Fi access. Join us for a meal at Mosaic Restaurant, or for Afternoon Tea at The Bar, Lounge and Room. Discover delicious dining options and host your next business event or social occasion in one of our venues, complemented by advanced audiovisual technology and personalised catering. Great deals and packages for your holiday or business trip in Sydney. Book direct for the best rates, guaranteed. Pick the perfect offer for your next meeting and special event. Plan your next holiday or business trip in Sydney now and enjoy exquisite dining options with our great deals. We arrived early in the morning after an overnight flight with 2 grand kids and the hotel was ready for us and allowed an early check in. That's the best part! The location is central to shops, mall and local attractions and walking distance to the Sydney Harbor and Opera House. The concierge and doormen recognize us and offered every assistance we asked, excellent service. The only thing that was not working properly is the bedside Bose CD player but that is not a major issue. We will stay in this hotel again on the next trip to Sydney. This hotel is situated in one of the best spots of town!! Right near the water, great shopping around the corner and an easy walk to the Sydney Opera House. Upon checking in they recognized our platinum status, room was upgraded to a high floor suite and the room was absolutely spotless!! Bed was comfy, linens and towels were wonderful. I have to give a huge shoutout to David Luff-Concierge who made out visit absolutely the best!! His suggestions and scheduling our tours were great!! The whole staff is great!! 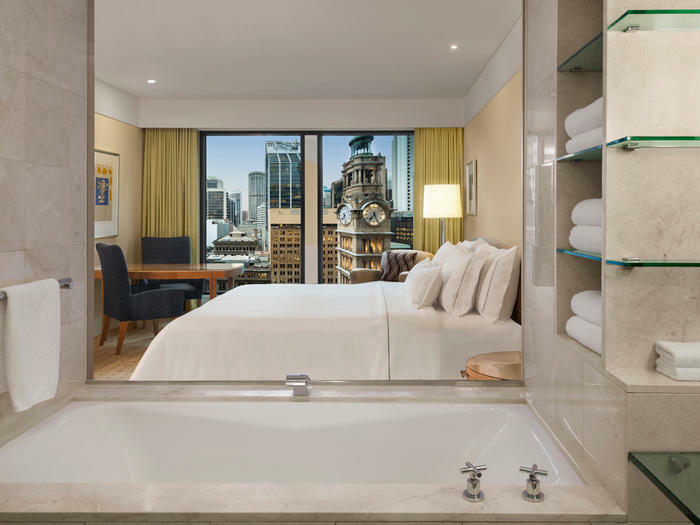 Choose between two distinct accommodation options: the charming, Heritage rooms which are located in the historic General Post Office building, and the contemporary designed accommodation in the high-rise Tower wing. All of our rooms and suites are bestowed with the luxurious amenities, including plush bedding, oversized bathrooms and high-speed Wi-Fi access. Heritage Rooms are located on levels 1 or 3 in the Heritage wing and are crafted from the former General Post Office Building and echo its historic charm. 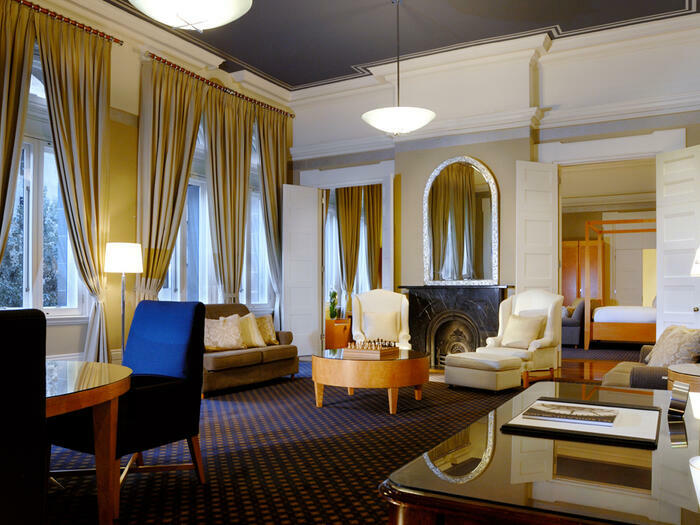 The Heritage Long Suite, located in the historic General Post Office building and originally the former postmaster's office, is a spacious and opulent one-bedroom layout. Located in our modern high rise section of the hotel, Tower Rooms offer a rejuvenating king bed or 2 double beds, floor-to-ceiling glass windows. 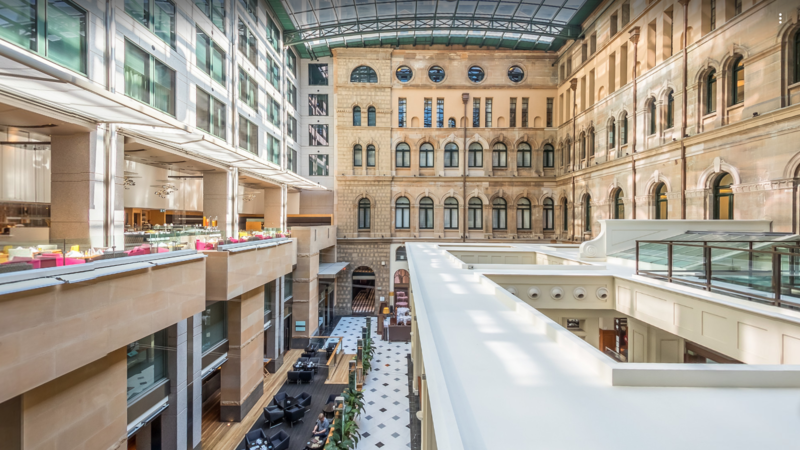 Mosaic is found on level one of The Fullerton Hotel Sydney, bathed in natural light from the magnificent glass atrium. 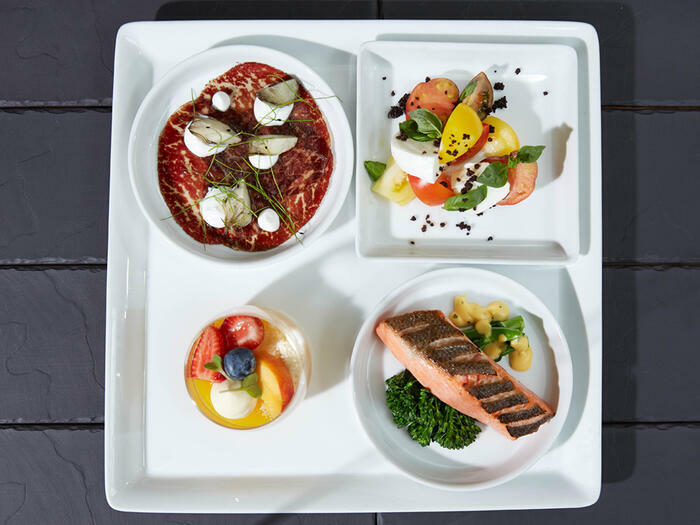 Mosaic offers contemporary modern Australian cuisine and international selections.